There are many contemporary strategies for naming children. You can echo family traditions or heritage. You can try to balance given names with too-unusual or too-common family names. You can refer to people, places and qualities you admire. Our you can name children purely for the poetry of the sound, or in nod to the circumstances of the times, or your aspirations for them. You can find names that either fit in or stand out. All these ways work. Recently I’ve noticed two new strategies in naming children. One I call the global brand naming strategy. Here the object is to devise names that work in as many languages and regions of the world as possible. These names are kind of esperanto names. Names without language specific sounds. Names that can be easily pronounced by Japanese, Russian, Spanish, French and English speakers for instance. Names that don’t have negative connotations in certain cultures. They are usually short. Punchy. Almost nicknames. They may often seem generic. But they are easy to say and remember. They work just about anywhere on the planet. They are similar to brand names. Names like Leo. Maya. Tasi. Kip. They work best with family names that are not common. Finding them is a little bit like settling on a global brand. It requires a particular mindset and international awareness that some may find pretentious, and others invigorating and exciting. The other recent strategy is to find GoogleUnique names. These are invented names, or name combinations, which will yield singular results in a Google search. In other words, when you search for the child’s name, your child is the only result. These can work with either uncommon last names or family names that are common. Like mine. We did not set out to make GoogleUnique names for our kids (they were born before or at the dawn of the web), although we did hope they would be special. I have an extremely common last name (in the US), so we choose first names for our children that meant something in both Irish (my family) and Chinese (my wife’s family) for contrast. But it turns out all three of our kids full names, which work both in Gaelic and Mandarin (Kaileen Kelly and Tywen Kelly and Ting Kelly), are also GoogleUnique. They are the only people with that name the results point to (although there are more results from the reverse of the name, or from two people with parts of the name, and so forth). In the small but growing world indexed by the web, they are unique. I have not plotted this out, but my impression is that there are more baby names used now (in the US and the world) than before. 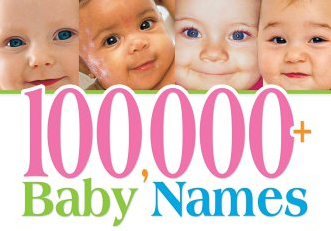 Baby name books would have thousands. Now they have 100,000. Many of the new ones are unique to a single individual. In the future, perhaps most people will have a unique name. Some adults may object to naming a kid like you were searching for a domain name, (or a brand), but our kids are delighted about this uniqueness and international sensibility. From our limited experience I can recommend a GoogleUnique name. All things being equal, a name which is unique AND works for all the other namely considerations a fine name needs is a better name. There are a lot of ways a name can go amiss, and uniquenss alone won’t prevent a name from making it onto the Bad Baby Name list. (From one of those lists of real names: Fanny Whiffer; Nice Carr; Hugh Jass; Al Caholic; Anita Bath.) Thinking about the global searchability of a name may actually help prevent such disasters. Oh, and I have a GoogleCommon name. I share my name with so many other people that we have our own Kevin Kelly disambiguation website.